I don’t usually go crazy over moisturizers but I can’t rave enough about the Ole Henriksen Nurture Me cream! It has been downright freezing this winter and my skin was certainly suffering from the harsh cold winds. I thought the Philosophy Hope in a Jar moisturizer would help revive my thirsty skin (total fail!) but it wasn’t until I tried Nurture Me that I found the cure for my winter skin blues. MAC Haute & Naughty Lash Mascara This mascara is such an excellent multitasker! It features two wands to really play up the drama and grab every lash. I like the bigger wand as it’s great to add lots of volume but the smaller wand really has my heart. The smaller, thinner bristles provide a smudge free application and grips my short lashes perfectly. It makes my bottom lashes look so long and lush! Yves Saint Laurent Volume Effet Faux Clis Babydoll Mascara Babydoll is hands down my all time favorite mascara. Just wow! The plastic spiky applicator catches every single lash and gives such an incredible curl and lots of luscious length. I mean lots! My lashes are barely noticeable bare but you can spot them from a mile away with Babydoll! I actually love to pair it with Haute & Naughty to make my bottom lashes look like falsies! Bite Beauty Agave Lip Mask I just told you guys how much I love this stuff but I’ll tell you again! It’s the best lip treatment I’ve tried yet! It has really helped soothe my dry, cracked lips during this extremely harsh winter. I was exfoliating at least twice a day to keep my lipsticks from looking all gross. But this beauty has really cut down on the peeling on icky-ness! 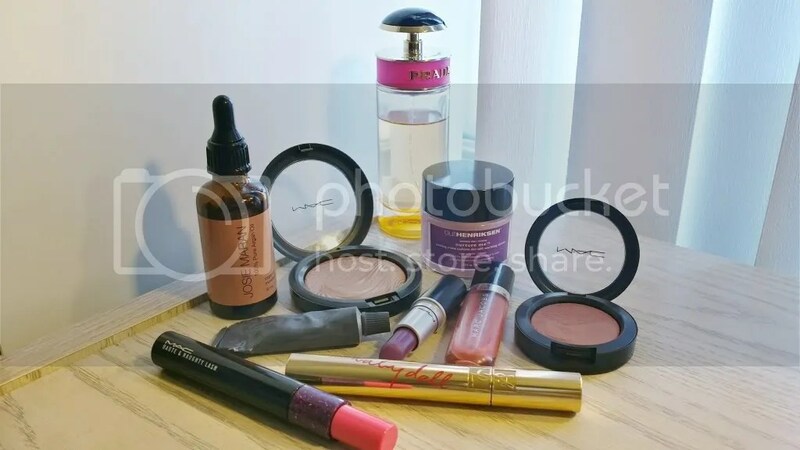 Josie Maran Pure Argan Oil I’ve been a huge fan of this oil for a long time now! I started off using it as a moisturizer (which I still do) but now I’m also using it on my hair and nails. It’s great for everything! It makes my ends feel super soft and helps to seal in moisture preventing damage and split ends. And it makes a great cuticle oil too! Everything looks so healthy with a few drops of argan oil! MAC Magnetic Appeal Extra Dimension Skinfinish I’m still over the moon for Magnetic Appeal! This is the only highlighter that literally melts into my skin. It looks that good! Usually Extra Dimension Skinfinish powders are super metallic but this has the right amount of shimmer to look “no makeup” natural but still utterly gorgeous. I just can’t stop smothering it on my face! Prada Candy Eau de Parfum I’m definitely going to need another bottle of this perfume before the year is over! I’ve put such a serious dent in my current bottle because I use it literally everyday! Prada Candy smells so sweet and seductive I just can’t bring myself to wear anything else right now. Plus I get tons of compliments whenever I wear it! 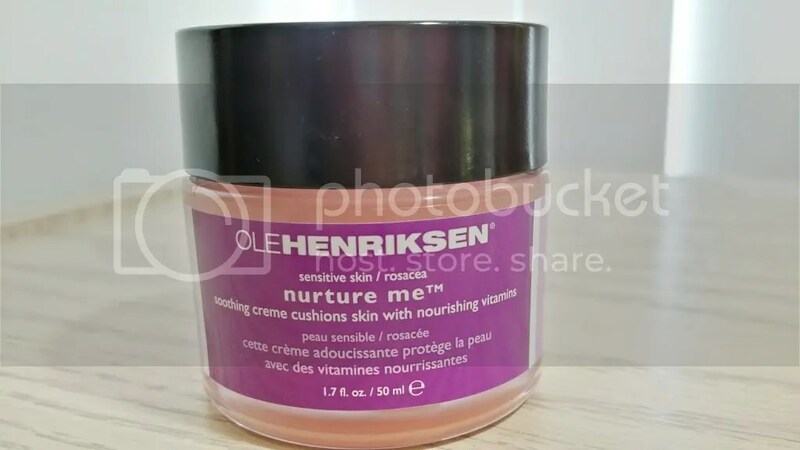 Ole Henriksen Nurture Me Cream Trying out samples is a good way to get yourself hooked on new products! I took home a sample of the Nurture Me cream and now I can’t live without it! It’s so lightweight and incredibly hydrating. And it smells SO good!! Applying it every morning is like a beauty treat for my face. So yummy! MAC Heroine Lipstick I couldn’t be happier MAC decided to make Heroine permanent because it is SO my color! I’ve always liked purple lipsticks but Heroine is like the love of my life purple. It’s such an eye catching lipstick! Girls are always asking me what’s on my lips when I wear it out. Heroine has quickly become one of my all time favorite lippies! Marc Jacobs Heart Shaped Lust for Lacquer Sheer glosses aren’t typically my thing but Heart Shaped has the perfect subtle wash of color and shimmer that’s so pretty! I neglected all of my glosses for this little beauty because it’s so versatile and feels so good on my lips. It has a slight cooling effect and adds a bit of moisture so I love throwing it on top of my drier lippies. The sheer wash of pink looks great with anything! MAC Pleasure Model Extra Dimension Blush Of course Pleasure Model would make it to my faves because I’ve been raving about it all month! I’ve been trying to toss some of my other blushes in rotation but I can’t stop reaching for Pleasure Model. It’s so natural looking and easy to apply! My cheeks always look naturally flushed and never overdone when I wear it. Surprisingly, it’s still available online at Nordstrom so I totally recommend snapping it up! 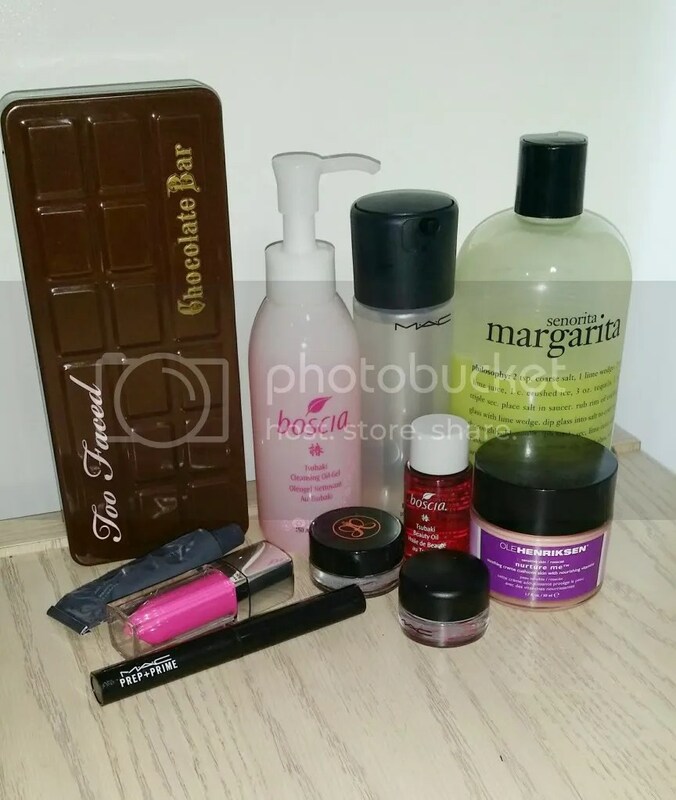 What were some of your favorite beauty products this month?